Clivia is a beautiful, but uncommon, flowering houseplant. Once owned only by the wealthy, clivia is now available for sale in many greenhouses. Clivia may catch your eye from its beautiful blooms in February and March, when little else is blooming. However, once you get it home, the blooms may fade, leaving you wondering how to make a clivia rebloom. Continue reading this article to learn about the clivia bloom cycle and tips on forcing clivia to bloom again. 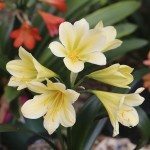 Young clivia plants can be much less expensive, but you will need to be quite patient to ever see it bloom, as it can take anywhere from two to five years for a clivia to bloom for the first time. 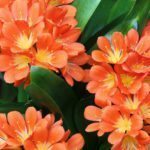 It is better to purchase an already blooming clivia plant, which is usually in February and March. With a little effort, you can prolong clivia blooms or get clivia to flower again. Clivia blooms better when pot bound, so repotting too often will upset the clivia bloom cycle. In late January or early February, use a bloom-boosting fertilizer to promote and prolong blooms. 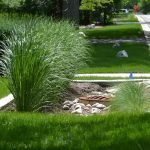 While blooming, use a 20-20-20 fertilizer every two weeks. It is possible to force clivia to bloom once the initial flowering period is over. Clivia needs a cold period of 25-30 days in order to bloom. You can simulate this natural cold period by placing your clivia in a cool area with daytime temperatures at about 40-60 degrees F. (4-15 C.), but no lower than 35 degrees F. at night (1.6 C.). Do not water your clivia during this cold period. After a 25- to 30-day cold period, you can slowly increase the temperature where the clivia is located. Also, slowly and gradually increase the watering. Use a fertilizer with high potassium at this time. Doing these things will force the clivia to bloom. 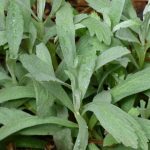 Turn the pot slightly every day so that buds and blooms will be encouraged to grow evenly around the plant. Once the clivia is blooming again, go back to using a 20-20-20 fertilizer every two weeks.